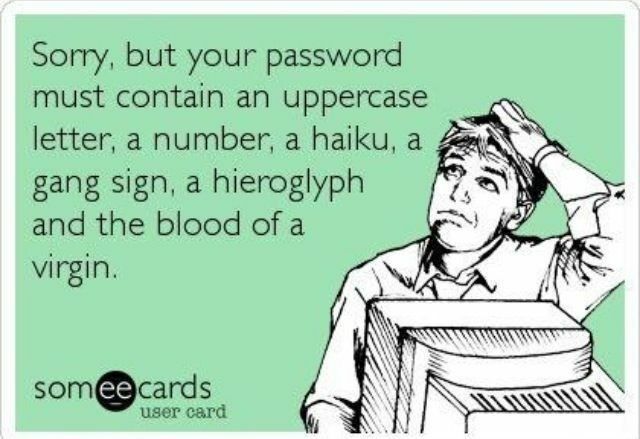 I don’t know about you, but I’ve about had it with all the website hacks and having to change my password so many times that I don’t even remember what they are anymore. I hate having to click on that “Forgot Password?” link. The worst is when you need to check something real quick or get into an account, like your bank account, when you’re on-the-go, but have totally forgotten what you’ve changed it to and then have to wait for them to send you an email (maybe right away or maybe tomorrow or the next day). Stop changing your passwords because you forgot them, by setting up one master password through F-Secure Key that will keep track of all your other passwords and keep them totally safe, even from the company. Haven’t you always wished that you could just have the same password for everything? Well, you can now, making your sign-ins way easier and less stressful. Since all your passwords for all your many accounts should be totally unique, it’s not easy to remember more than a few and then not them confused with each other. The issue most of us have is not so much remembering, but the fact that our passwords are too simple, so we can remember them. That means it’s easier for hackers to figure them out, too. The longer and more complicated your password, the harder it will be to break them. Use a combination of upper case, lower case, numbers and special characters. Establish an appropriately long password. 8 characters are good, but 10 or more is better. As I said above, make sure you include at least one lower case letter, one upper case letter, one number and one special character. Avoid using names, including all or part of your user name. Avoid sequences, such as 1234 and abcd or the opposite, like 4321 and dcba. Avoid real words, unless you mix them up with numbers and special characters, but don’t use the number zero for the letter O, as these are easy to crack. Avoid personal info, like birthdays, addresses, phone numbers, etc. When changing your password, make it completely different, not the same with a number or letter tacked onto the end. Never ever give your password to anyone, even if they are from the company (or say they are) and ask for it. This is a hacker scheme and often come in the form of phishing emails. Whenever I get an email saying I need to change my password, I go directly to the website and never click through the link in the email, just in case. Some phishing emails are very convincing. Sounds annoying, huh? With F-Secure Key, you can make your passwords as difficult as possible and never have to worry, because it auto-fills your passwords for you or you can cut and paste them. It also remembers your emails, PINs and other important info you need for logging in. You can use it on all your devices and have the ability to lock them with your F-Secure Key password to keep them safe from others. F-Secure Key is free on one device. The PREMIUM edition syncs all your devices and costs just over $1.50 a month. For being my awesome readers you get two PREMIUM months of service for FREE! Cool, right? Go to F-Secure Key download it FIRST from your IOS or Android device. Think of how much time you’ll save by not having to rack your brain to remember passwords or wait for emails that sometimes never come. I love this service and the fact that when I’m at home and on vacation, I never have to worry about getting into any of my accounts, while still keeping them safe from hackers, which is always an even bigger threat when using questionable Wi-Fi. Am I right? Disclosure: This is a a sponsored post. I have been selected as a brand ambassador for F-Secure, however, all opinions are 100% my own.